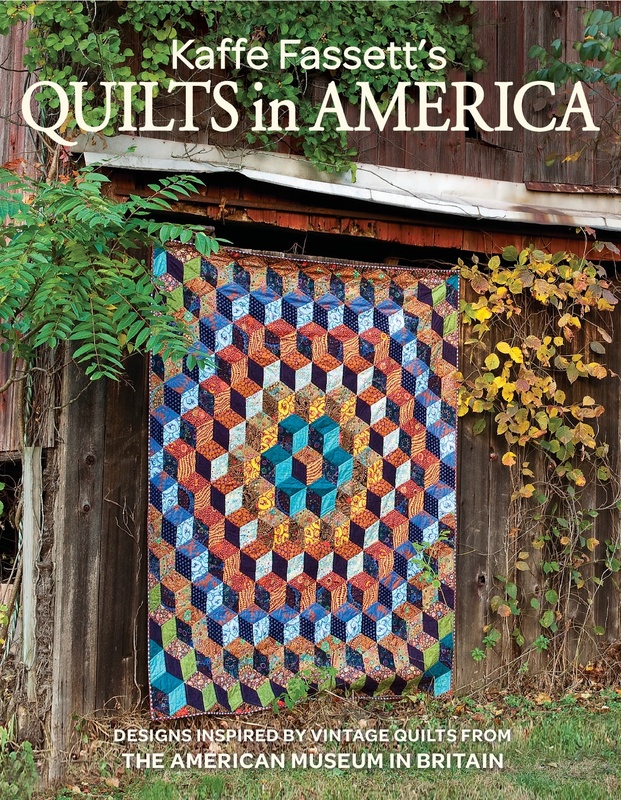 As I write this newsletter, Kaffe and I are particularly excited about the recent opening of Kaffe’s Quilts in America exhibition at the American Museum, Bath (16th March – 3rd November). 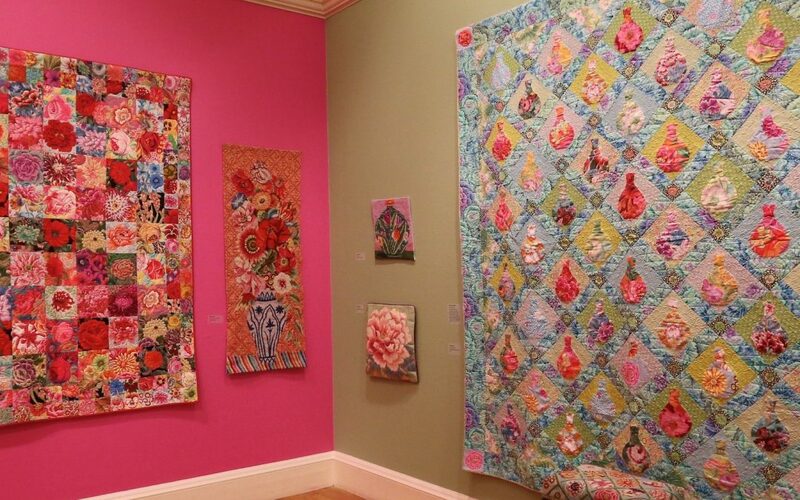 The exhibition showcases 20 brand new quilts, which have never been shown together in the UK before. The series is directly inspired by the Museum’s renowned collection of vintage quilts, some of which date back to the 19th Century. The museum itself is a beautiful Georgian Manor house near the University of Bath, 2.5 hours west of London by car. 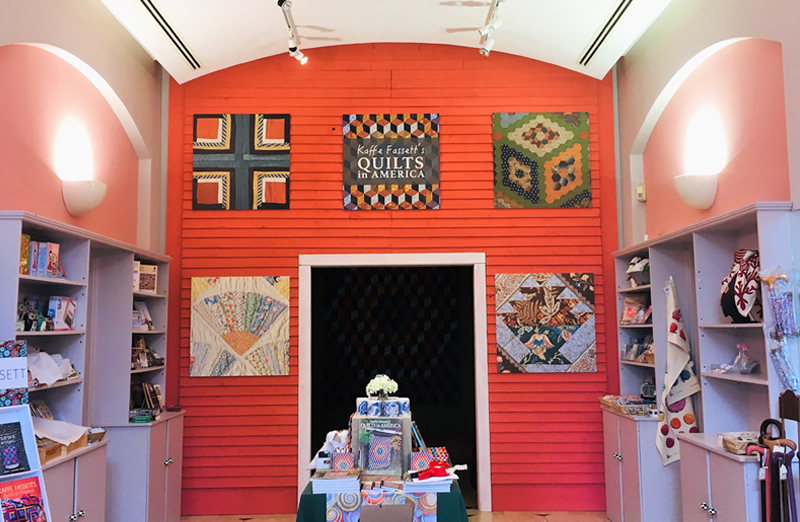 Kaffe was able to take his pick of the unique collection of antique quilts at the museum and used the Kaffe Fassett Collective fabrics to show how the old world inspires the new. It is fascinating and refreshing to see how the two worlds sit next to one another. 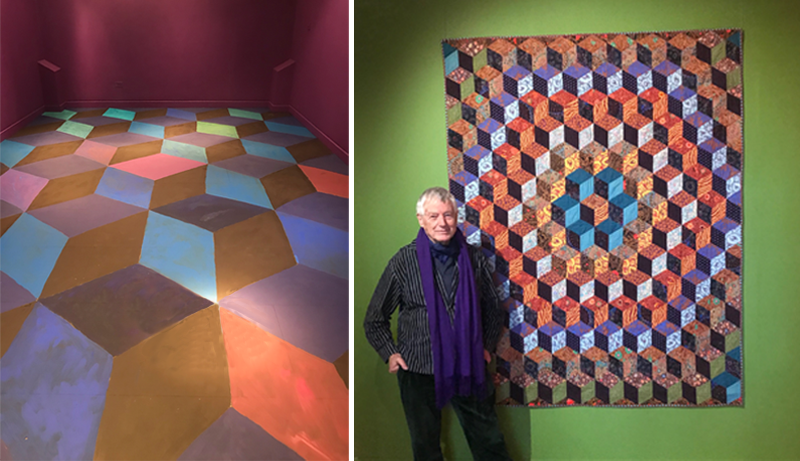 There is one part of the gallery space where Kaffe and I spent a couple of gruelling days on our knees painting the floor in an oversized tumbling block pattern to show off the darker section of the gallery. Kaffe has carefully selected inspiring music too, that will enhance your visit 🙂 The exhibition shop will stock a good variety of Kaffe related items and a selection of handknitted one-of-a-kind scarves, knitted by Kaffe himself. Visitors to the UK who are looking for recommendations should think about having an overnight visit in Bath with its glorious honeycomb coloured Georgian architecture, built in sandstone. 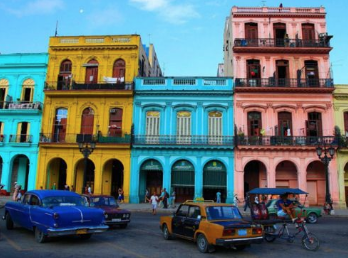 The city is particularly charming early morning or at dusk too. More info on visiting Bath here. The American Museum runs a free shuttle bus from the centre of the city – near the train station, to the museum every hour. The exhibition runs until 3rd November. Check the Museum website for special events taking place during the run of the show. 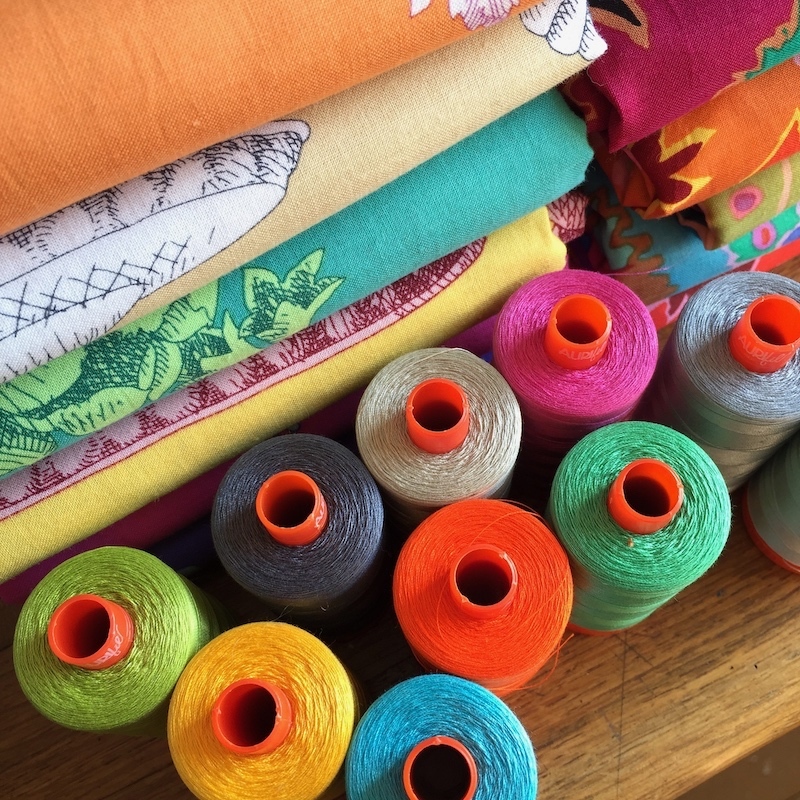 Workshops are given by the wonderful team that sewed some of our quilts: Janet Haigh, Ilaria Padovani and Julie Harvey who are an essential part of quilt making team in the UK, plus a lecture and workshop by myself and Kaffe on 24th and 25th July. More info here. Mid-February Kaffe and I were in New York for New York Fashion Week to see the launch of the Coach + Kaffe Collection – Kaffe and I have been working secretly with the fashion brand Coach for the past 6 months on a collaboration using the Kaffe Fassett Collective as an inspiration for their Fall 2019 Collection. The hardest thing was keeping schtum, especially as we witnessed the building of the collection come to life, staying in New York city in cold February. We stayed in the newly fashionable area of NYC in the Bowery Hotel. Both of us loved walking as much as we could, soaking up the street life, window displays and amazing NY architecture. 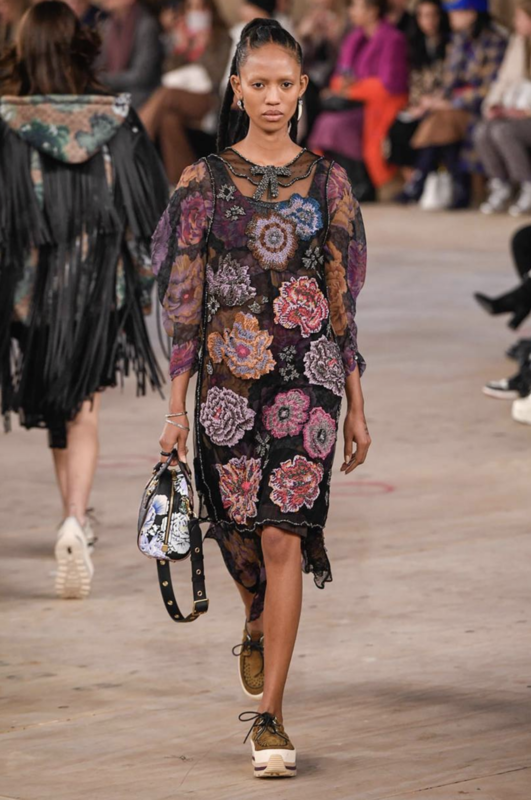 It was thrilling indeed to see the Coach + Kaffe Fashion show in the presence of Hollywood actor Michael B Jordon, Editor in Chief of Vogue, Anna Wintour and her team – it was a proud moment as the Models flew past us in the packed fashion show which lasted all of 10 minutes. 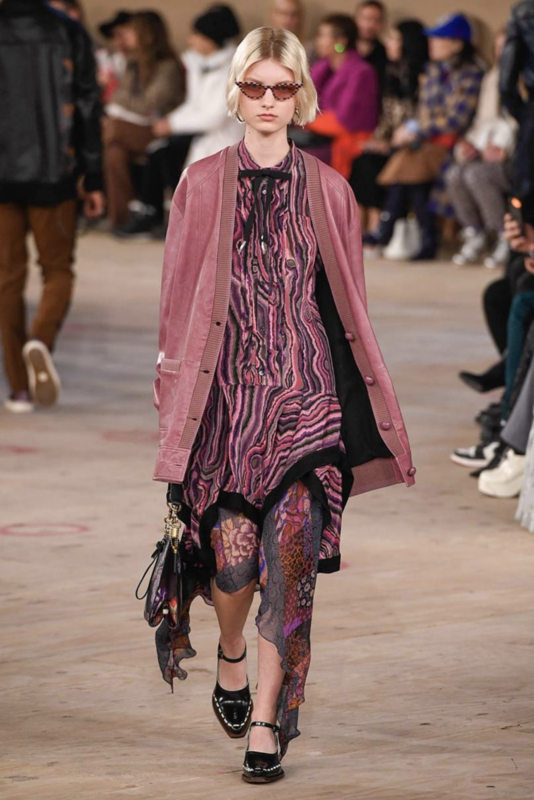 Coach are particularly well known for their luxury leather bags but recently made waves launching ready-to-wear for both men and women. Each season their head designer, Stuart Vevers, chooses a different inspiration for his collections. 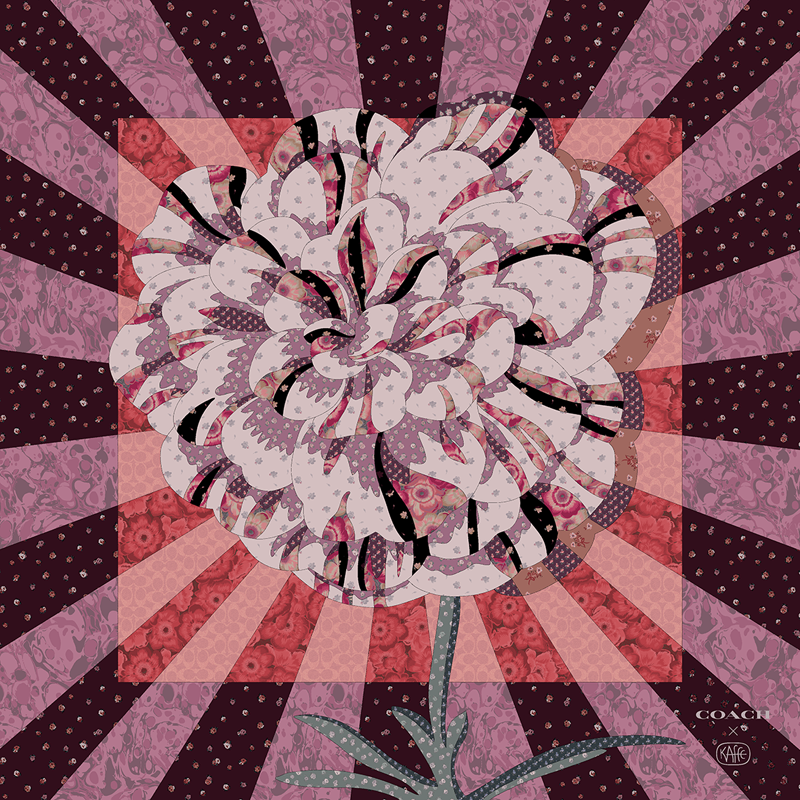 He collaborated with the Kaffe Fassett Collective for this season. Highlights from the fashion show and reviews can be read on our Press page and you can see the runway video here. The Collection will be in Coach stores and concessions worldwide from September. I’ll keep you posted nearer the time. 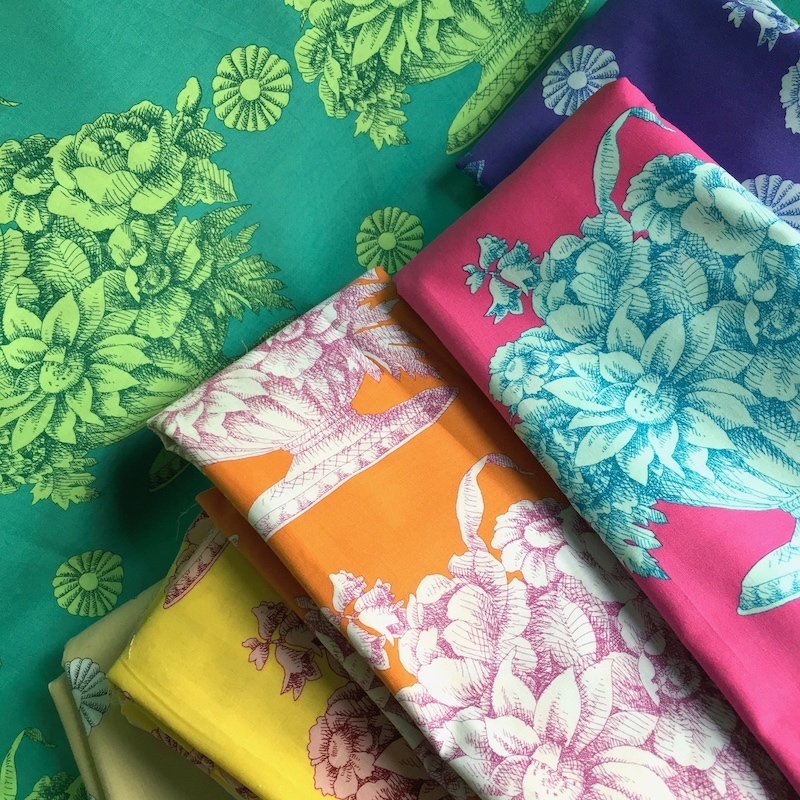 FreeSpirit launched their long-awaited website – where you should be able to find out answers to all the Kaffe Fassett Collective Fabric related questions you may have. Between Kaffe, myself and Philip Jacobs we do 60 colourways a year for the Kaffe Fassett Collective. 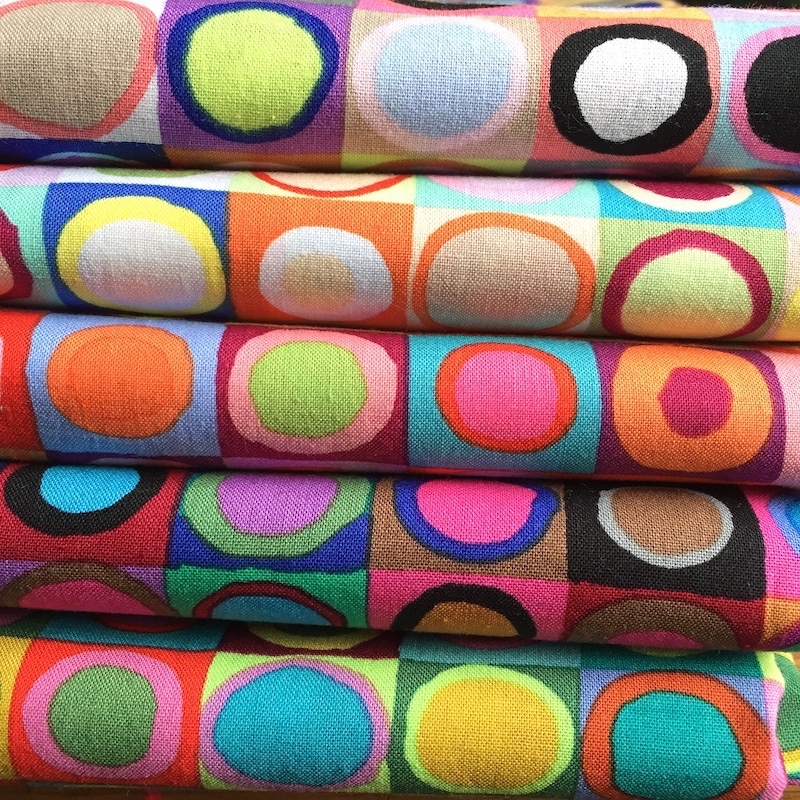 More on our fabric collections can also be seen on our individual website. We have also updated Kaffe’s page with a gallery of ‘one of a kind’ pieces to whet your appetite. Currently, Kaffe is knitting in the studio next door, working on his new range of limited-edition ready-to-wear designs for Peruvian Connection. 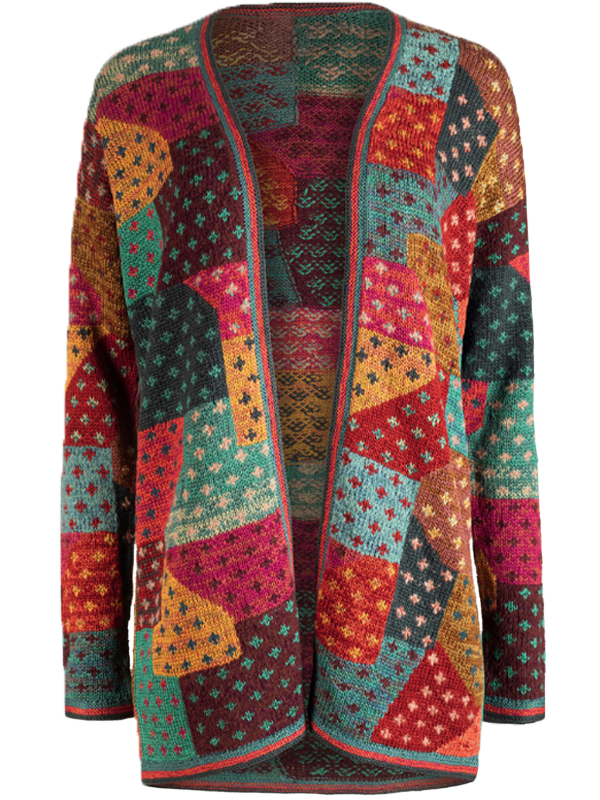 His latest design is Mosaico Patchwork, knitted in fine Pima cotton yarns exclusive Peruvian Connection colour range. These garments are amazing as Kaffe runs three shades of colour together to great the subtlety he wants to achieve with each stitch. The knitters in Peru meticulously follow his colour filled swatches to create Peruvian Connection’s latest ready-to-wear garment. They do gorgeous catalogues, so look them up. 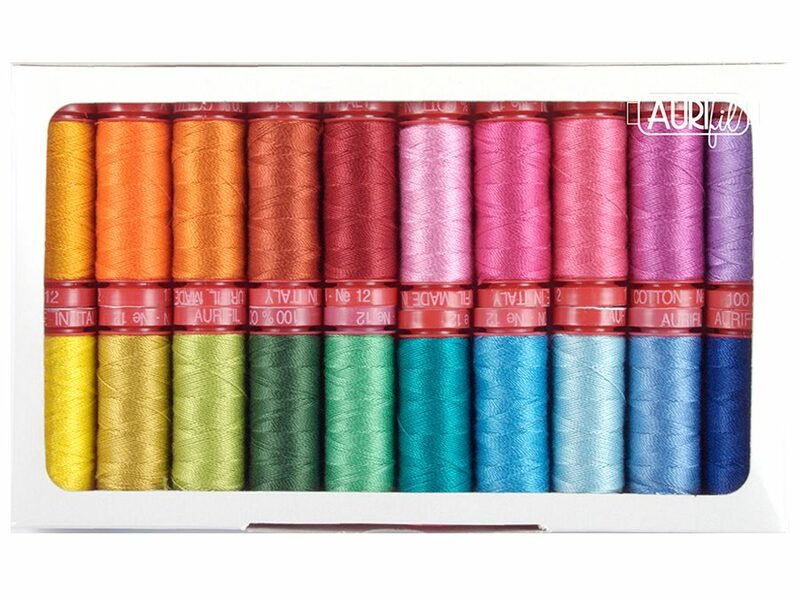 You might also want to take a look at our collection of Aurifil threads. 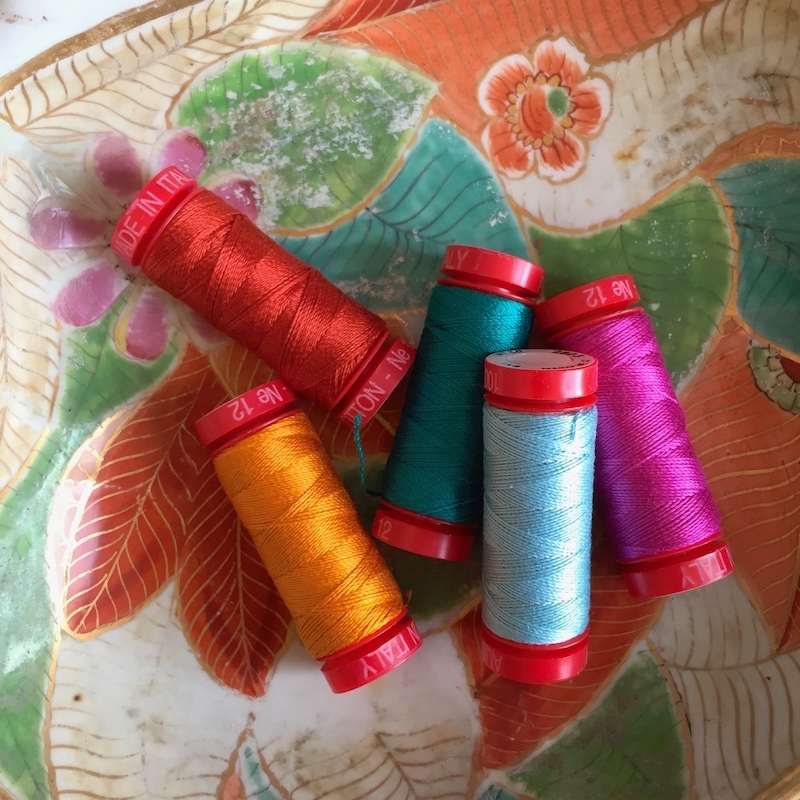 We teamed up with Liza Prior Lucy to create two beautiful collections of sewing threads with all our favourite colours, one for machine sewing and one for hand-sewing. You can read more about the collaborations on the Auriful blog here. Later this year we’re looking forward to launching our new beauty range with Heathcote and Ivory. Look out for new Kaffe products – more infomation coming soon!